A revolutionary initiative has been launched with the aim of bringing the urban cricket scene in inner-city Nottingham to life. 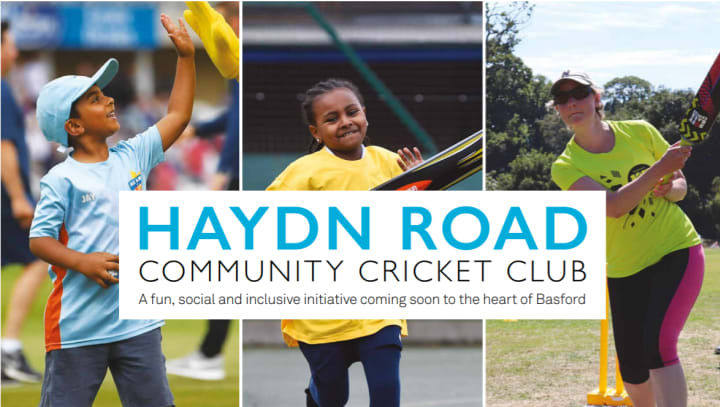 Haydn Road Community Cricket Club, based in the heart of Basford, will include bespoke programmes of non-traditional cricket for juniors, women and girls. Renovations will be carried out on the old cricket facility that stands on the site, with the non-turf pitch and non-turf nets upgraded and the building's appearance freshened up. The revitalised hub will play host to the informal Street Cricket format, which has proved its popularity amongst young people in Nottingham’s South Asian Community and has the backing of ex-Notts batsman Bilal Shafayat. Walking Cricket, meanwhile, is a format which has provided opportunities for social interaction among the over-50s since sessions were first established across the county. “We’re calling this the modern-day club,” said Ian Dipaolo, Nottinghamshire’s Development Officer for Participation and Growth. Dipaolo’s team are also hoping to encourage members of the community to use the venue to run their own classes, with cricket activities running alongside this either for those attending the classes or their children. The Haydn Road project is the latest in a series of initiatives organised by the Nottinghamshire Cricket Board to encourage participation in the game at all ages and levels of ability. This aim is shared by the ECB, whose ‘Inspiring Generations’ strategy highlights the importance of helping individuals from a range of communities to develop a love for cricket. More information on the Community Cricket Club is available here, or by contacting Ian Dipaolo at ian.dipaolo@nottsccc.co.uk.